Quality management training is often easiest when it can be delivered in a video format and consumed on your own timeframe. Videos offer high quality training for a complicated platform like SAP because they show instead of tell, which is a valuable attribute of the learning process. If you are looking to improve your use of SAP through video training, it is critical that you obtain this instruction from the right organization. With decades of experience and connections to the best industry resources, QMS is a leading provider of SAP training videos for several reasons. Not everyone learns best through instruction manuals or documents that are heavy with text. Our videos break down areas like FMEA processing, audit management, and readiness assessment so that it is easier for you to understand the individual components of each of these processes. We also have created our videos in an order that makes logical sense and can help you and your team members to achieve important industry certifications. 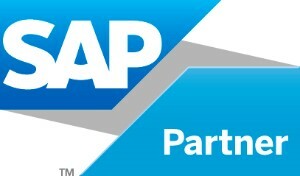 The combination of our recent acquisition of prominent SAP video producer Xpand Consulting with our own decades of history with the SAP platform means that we know what kinds of issues are most important to our clients. Our videos cover the topics that you need to know about to improve the way you use SAP. Because we have a history in the field, we also know the most common challenges that learners face when using our videos and how we can help them overcome these challenges. For areas like inspections, procurement, calibration, and the FMEA process, make sure that you have the assistance of a dependable group of SAP specialists. The experts at QMS are ready to help you take your SAP use to the next level with a wide array of helpful training videos, so that you can better manage your entire business. We are one of the fastest growing SAP consulting companies in the industry, in part because we have been helping so many different organizations for many years. However, our company is also small enough that we can remain nimble. We aren’t locked into restrictive corporate policies that prevent us from getting down to the needs of our clients and then helping them meet those needs. This combination of access to resources, agility, and experience is a rare find in the SAP consulting field. The resources that we have available at QMS allow us to take a more holistic approach to the process of SAP consulting. We use a variety of techniques to help us better educate our clients. Our recent acquisition of Xpand Consulting, one of the leading names in SAP training videos, means that we have a unique set of multimedia tools available that allows us to deliver our training messages in the most effective ways. At QMS we understand that relationships are key. From the strong ties we have with the QM management team at SAP, to our valued relationships with our customers, we recognize that fostering and reinforcing these relationships is the backbone of our business. We are proud to be able to help a wide array of clients do what they need to do on a daily basis to satisfy their own professional goals; see for yourself how getting trained on SAP from the team at QMS will take your organization to the next level. For more information, or to purchase videos, use our contact form and choose “Training Videos” in the subject drop-down box. Inspections are extremely important to maintain the quality and integrity of your products and services as well as to continue to delight your customers. If you are concerned about incoming inspection, in-process inspection, final inspection, and the creation of certificates of analysis (COA), our inspection training videos will help you understand the relevant inspection processes of SAP QM and implement them in your organization. Audit management can involve several parts of your business in SAP: purchasing, inventory management, quality, safety, and warehousing. To give you a better sense of how all of these areas relate to one another and can be managed smoothly in SAP, our audit management SAP video training will give you clear instructions and connect these tasks to parts of SAP that you are already familiar with. With these training videos you will get information about important areas like creating control plans, quality management notifications, and other tools that will help you better create and perform an FMEA for a particular process or type of product. There are several other kinds of SAP training videos available; to find out about a specific type of video training that QMS offers, click onto the page for that type of video. You will find that all of our videos embody the same approach QMS takes to SAP consulting, providing value for our clients in a way that makes it easy for them to understand how several quality management processes relate to the SAP platform. SAP features a number of high impact benefits for its users, but one of its most important is the way that the platform can provide notifications. These notifications help you stay dialed in to the way that your business operates and will alert you when there is a problem with any part of your company. With our SAP notifications training videos, it’s easy to learn how to configure and control these notifications to help you stay up to date about what is going on with your business. Notifications help you get a stronger understanding of what is happening with your company through the SAP platform. Our SAP notifications training videos allow you to have an easier time controlling this vital aspect of SAP to more effectively deal with any business issues you face. Purchasing is another critical component of your business. If your company ends up using its capital ineffectively, it could pose a serious threat to the long-term future of your business. SAP is an extremely powerful tool to assist your business with money management, and our SAP inspection training videos will provide you with all of the education necessary to make sure that your quality procedures are on point. You will be able to learn about how to create a purchase order, purchase requisition, and process a goods receipt, as well as get an overview of your current stock. You will also learn how quality integrates into the purchasing and goods receipt process with results recordings and usage decisions, which will make it easier for you to analyze the quality of your suppliers and purchased materials. All of our videos come with helpful voice instruction that will make it a snap for you to understand these concepts. Be sure that you take care of your inspection education requirements so that you will be able to master this important area of SAP and lead your business to a successful future. Recording the results of your QM systems is an extremely important element of success with SAP. Recording and documenting the results you get from your quality management systems will help you establish a comprehensive history of your quality management through SAP so that you can see where you have made improvements in the past and what steps you still need to take to improve your QM system. At QMS, our eQMSRR SAP videos and training skills can help you with your results recording needs in several ways. [/itemlist] These are just some of the ways that our eQMSRR SAP videos and consulting can help our clients achieve the results they need with this part of SAP. Your results recording must be managed properly so that your business has the ability to go back and examine the way it has dealt with problems or implemented solutions to allow the operation to grow and stay successful. At QMS, we are very capable of making sure that your results recording goes smoothly, through a combination of careful attention to your needs and an extensive history with this feature in SAP. For many companies, having the right equipment is important for keeping their business running smoothly and maintaining sufficient output. Keeping your equipment operating the right way begins with properly calibrating the equipment that your company uses. SAP equipment calibration inspection videos will help your business get the most out of all the tools that it uses by informing you of the best ways to make sure that your equipment is properly configured through the SAP system. Equipment calibration is a QM task that requires attention to detail and an understanding of what to look for. In the SAP platform, calibration inspection gives you more robust value function for inspection so that you can keep both your equipment and the measuring devices you calibrate your equipment with in good order. You will learn about how to set up your calibration inspections properly based on your master data configuration, as well as how to track defects in your inspections so that you can address these issues quickly. Not only does this video include instruction by high-level SAP consultants, we also provide you with a demonstration of all of the techniques that we discuss in our videos so that you are shown, not just told, the things you need to know. We design our videos with the viewer in mind, so that they are more intuitive for you to grasp the concepts we cover. You can’t afford to have equipment calibrated improperly; this situation could lead to production problems and may even put your team members in danger. Find out how you can use the power of the SAP system to calibrate your equipment by watching our SAP equipment calibration inspection videos to get information about this topic from leading experts in the field. Working with data is one of the most important elements of SAP. It is this functionality that allows users of SAP to get valuable information about their business to help them make informed decisions. For those looking to learn more about how to control their use of data in SAP, our SAP master data training videos are ideal. All of our videos were created by high-level SAP consultants who have years of experience in the field. They have leveraged this expertise to provide viewers with the most effective methods possible for handling the tasks they need to complete in SAP. When it comes to master data, you will learn several integral concepts. There are plenty of other topics covered in our SAP master data training videos to help you better understand this important area of using the SAP system. If you are interested in making sure that you get what you need from your use of data with SAP, our training videos will help you achieve this goal so that you and your team have a much better understanding of how master data works in SAP. Our SAP training DVDs are valuable for any organization looking for assistance with their SAP requirements. We offer a volume of training videos in the convenient DVD format so that our customers can view these DVDs on a variety of devices, whether they are in the office, at home, or traveling on the road. Of course, we also offer training and consulting services to go along with our DVDs, which will help you grasp the full impact of the ideas that we discuss in our videos. Instead of trying to learn about SAP from confusing, abstract texts, why not use a more effective, hands-on type of approach? Our training DVDs for SAP give you the ability to expand your knowledge of SAP in a way that is easy to grasp and understand so that you can get more out of this powerful system for business management and decision making. Who Retains Ownership of the SAP Quality Module? You do! As long as you have sufficient licensing in place, the quality module is included with the core set of features that are offered in SAP. Does QMS Handle Anything Besides QM? We do specialize in managing the QM concerns of our clients; however, we also have a strong work history with the Manufacturing and Warehousing components of SAP. This experience has mostly come about as a result of the integration of these areas into the QM module. QMS can help your organization with SAP PP/PP-PI, PI-Sheets, MES/PCS Integration, SAP IM/WM, Handling Unit Management, and RF solutions that use SAP Console or ITS mobile. Our Company has Environmental Testing Requirements. Can QMS Handle These? Absolutely! Several of our past clients have carried more requirements than just their basic product testing guidelines. We can help you maintain and plan samples using QMS so that you can take care of microbiological, environmental, and other regulatory tests. Since SAP QM offers users an interface that can leverage information contained in the specification database of the EH&S module, we are able to provide an end-to-end solution for our clients. How Long Will it Take To Implement SAP Quality Management? This is a common question; unfortunately, it is hard to determine exactly how long it will take to get your company up and running with QM. It depends on the scope of your implementation, how many sites you need set up with QM, and how available your master data is. We follow a procedure known as quick-hit, quick-win, which is aimed at reducing the time that it takes to set up your QM platform so that you can immediately begin maximizing your ROI. We also offer assessments, road mapping sessions, and strategy meetings to help you make sure that the most challenging pain points are addressed before anything else.